Now I love Doodlage! I love that their focus is on up-cycling fashion, and I love that they do such a great job of it. Doodlage has been a blend of sustainable and exclusive high street fashion, and they merge innovative designs with sustainable techniques of clothing thereby making fashion chic and Eco-friendly. Re-design, re-construct and recycle is their motto! Wearing such designs and knowing how they are made is definitely a ‘soul vacation’. From couture trainers to posh jogging bottoms, luxe sportswear or ‘athleisure’ has been one of the biggest high-street and catwalk trends of recent seasons. Apparently that is still the latest buzzword in fashion. Some of these made up words seem so ridiculously nonsensical, so much so that they are perfectly descriptive. Given the chance I would be in Yoga pants all day everyday so, made up word or not, this is one trend that I made my own way before anyone ever thought of coining a word for it. “Find your wild” was like a breezy trip into the grasslands. I kind of expected something more edgy and rough when I heard the name of the collection. Nonetheless the open back dresses, summer jackets and the wild whites were a pleasant and perfect for the summer! Looking at that happy bunch strutting down the runway is enough to make me interested in what they have to offer! 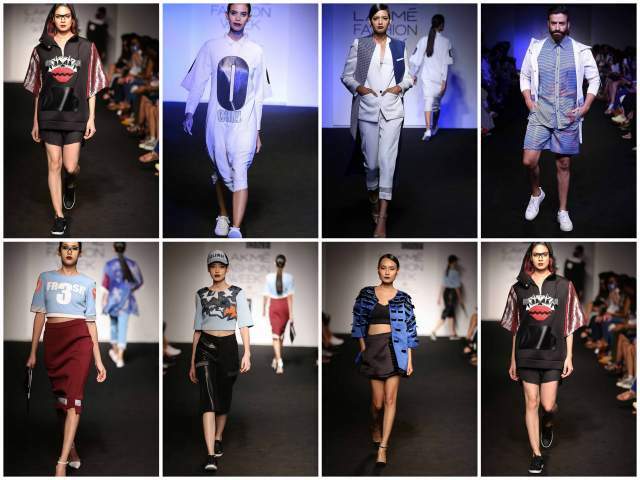 The show was kick-started by Renzo Rosso of Diesel, with an inspirational quote that said “Do less, but make it big”. 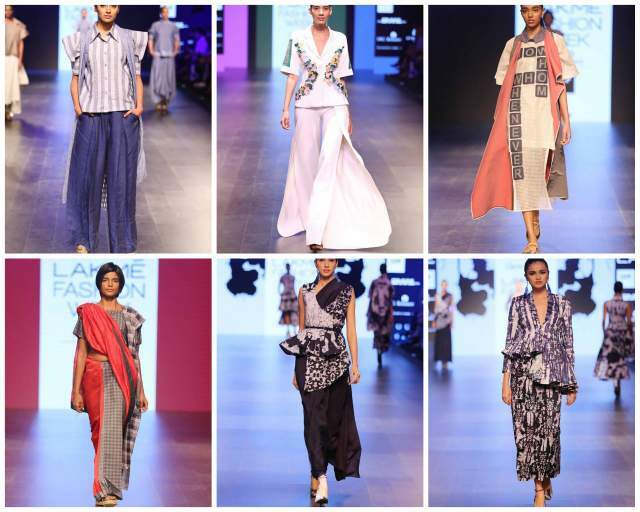 Gen Next showcased 5 young designers. 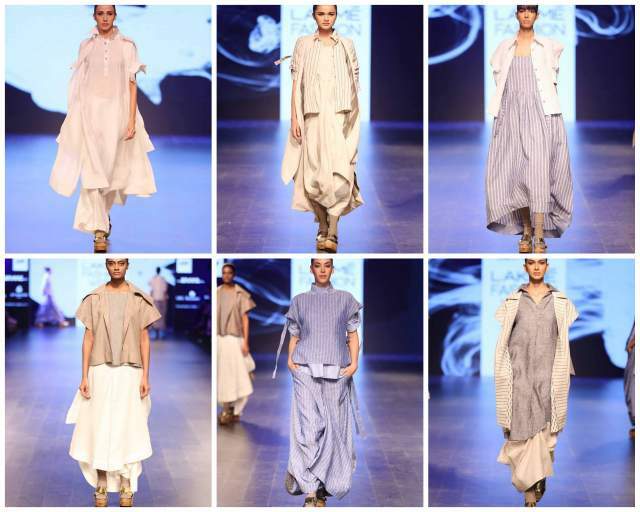 From Japanese influences at Sohaya Misra’s collection to Islamic cuts and structures at Aqdus Saleem, the summer palette of pastels and beiges stayed constant. 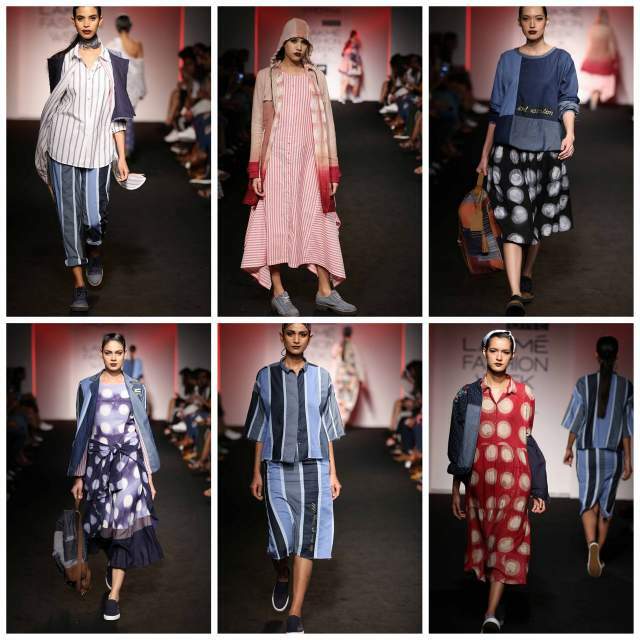 We’re obviously favoring the fun picnic stripes, ladybugs and tartans seen at Naveen Naaz Shaikh. 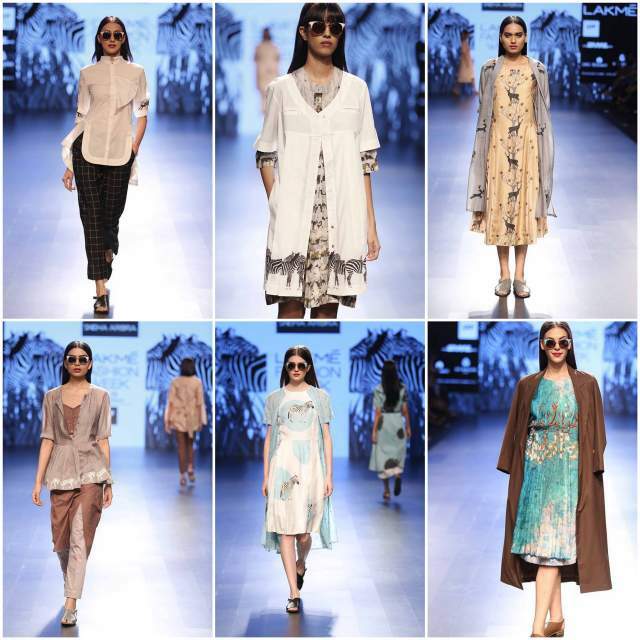 Agrima Batra’s resortwear and Chirag Nainani’s indigo prints gave summer a flavourful twist.